The Disillusioned Medea (aka The Enchantress) painted by Paulus Bor in Amersfoort, ca. 1640. 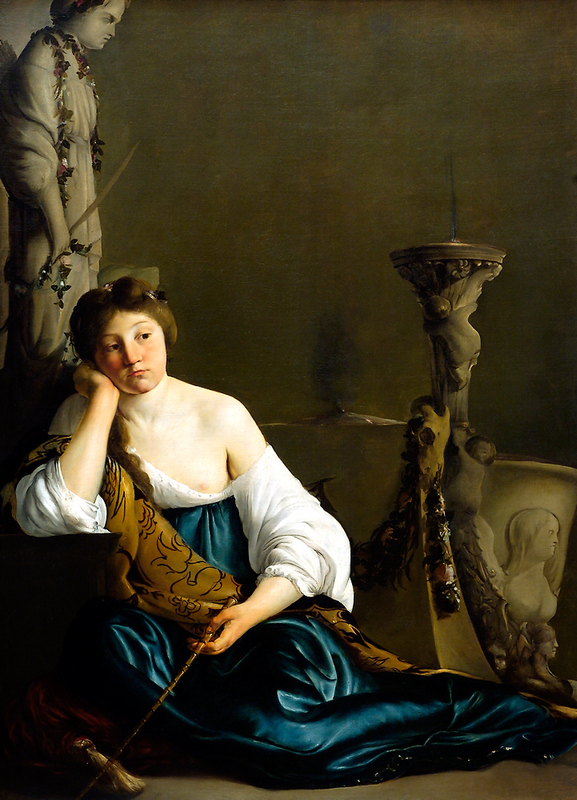 The moody young woman seated before an altar and a statue of the goddess Diana is an enchantress, as her magic wand indicates. Metropolitan Museum of Art, NY. I think she was using more than her magic wand to enchant. She doesn't look so much disillusioned as disenchanted. It took me a minute to realize the painter is from your hometown!